Take one look at Demetrious Johnson in a fight and it’s evident that he’s one of the fastest athletes in the UFC today. Who knew that he was going to take a similar path up the bantamweight ranks to a world title shot against Dominick Cruz on Saturday night? It’s an aspect of mixed martial arts that has been lost in the world of boxing. In boxing, there’s so much riding on the perfect record and fighting the “right” opponents until you hit the 25-0 mark and can get a premium cable fight or a spot on a Pay-Per-View card. In MMA, a fighter can go from obscurity to the top of the heap in the space of a year and a half like Johnson has, simply by being willing to take risks. Sounds simple enough, but after debuting in the WEC in April of 2010 with a close loss against England’s Pickett, Johnson went on to hand Nick Pace his first pro defeat and submit longtime contender Damacio Page before moving over to the UFC in 2011. And while the names Kid Yamamoto and Miguel Angel Torres may not immediately register to casual fans of the sport, to fight game aficionados, you’re talking about two of the premier lighter weight fighters in history. And the 25-year old Johnson beat them both – in consecutive bouts. Now he’s there as well, a turn of events that has surprised some observers. But as far as Johnson is concerned, if the man calling the shots believes he’s ready for a shot at the crown, that’s all that matters. After gutting out a close victory over Torres in May despite breaking his fibula in the second round, he’s about to take on the King of the Hill in the unorthodox Cruz, another fighter who won’t be losing any fastest man competitions anytime soon. If you’ve ever felt the need to watch a fight in slow motion to catch all the intricacies of the fast-paced action, this may be the one. And when it comes to breaking down one of the most hard-to-decipher styles in the sport today, Johnson feels like he’s got all his bases covered, with “The Wizard” himself, Matt Hume, working up a gameplan in the Pacific Northwest home of the AMC Pankration gym. What people are expecting from this Saturday’s title fight is a bout that may go 25 minutes but feel like only 10. Cruz and Johnson are dervishes in the Octagon, always looking to stay a step ahead of their opposition. Put them together, and they may give a run to Cruz’ previous bout with Urijah Faber for Fight of the Year consideration. It’s a lot of pressure for Johnson, considering that this is not only his first UFC main event, but his first main card appearance, but he seems to be taking it well, quietly confident that a 13 week training camp has touched all the right bases. Title shots don’t come around too often, and they rarely rear their head a second time. 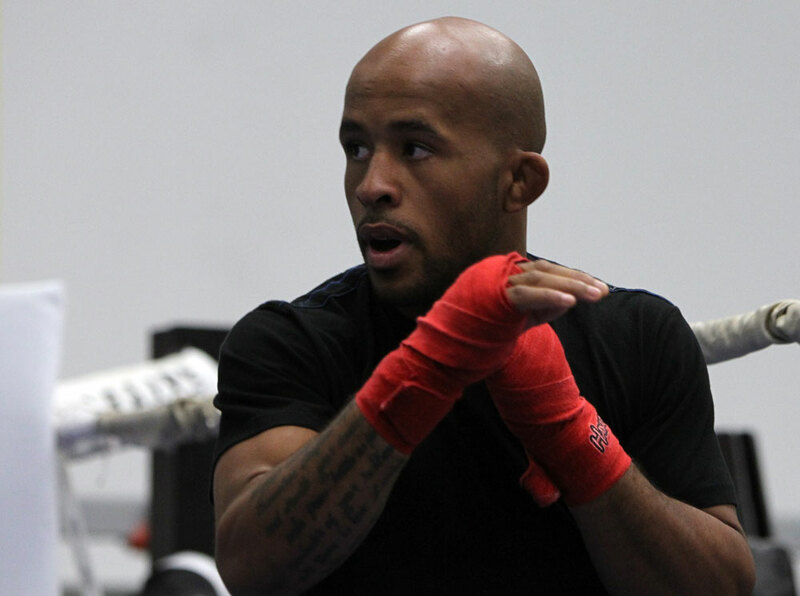 Demetrious Johnson knows what’s at stake on Saturday, yet he’s not focusing on what could happen after the final bell. He’s got a fight to think about first, and if there’s one thing that “Mighty Mouse” is sure of, it’s that he’s got plenty of fight in him for Dominick Cruz.